Antiquariat Reinhold Berg was established in 1977 by Reinhold Berg and his wife Ute Berg. 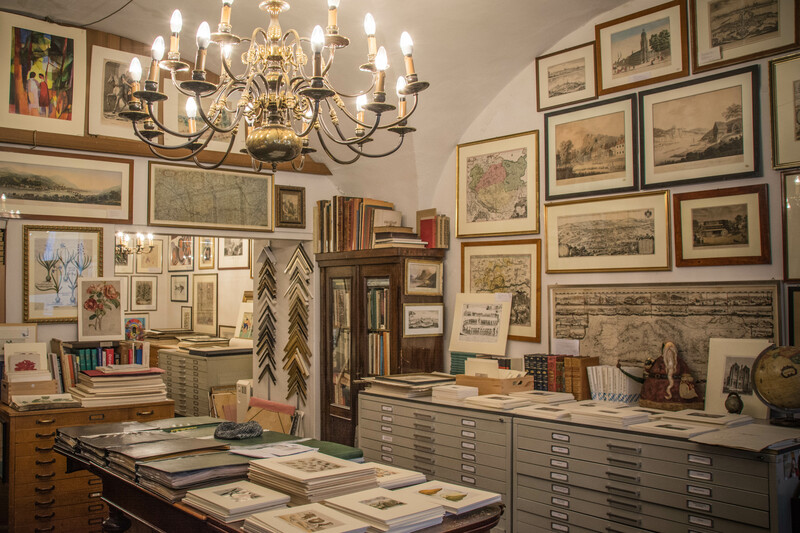 Making their passion into their daily business they opened a shop for antique maps and books in Regensburg, Germany. Since then they have not only become one of the most established dealers for antiquarian goods in Germany, but also passed on their passion to their son Robert. With the start of Robert Berg in the company the business grew international. 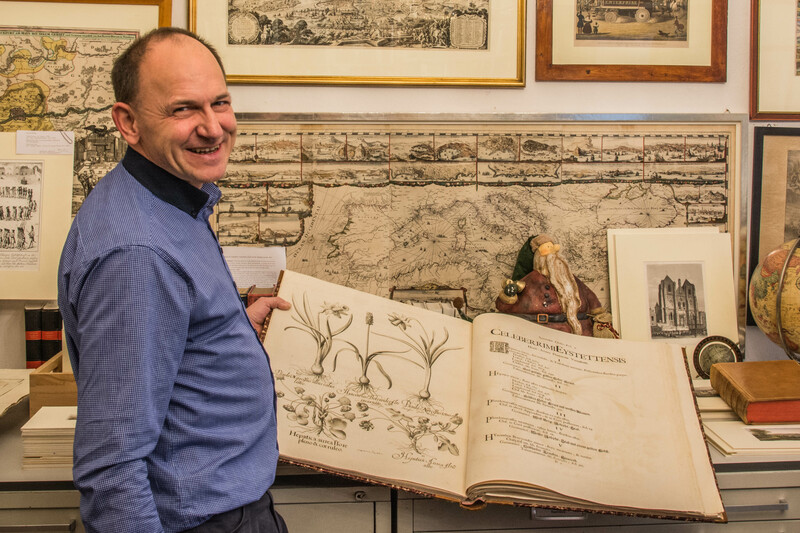 For more than 20 years Antiquariat Reinhold Berg exhibits regularly at international map fairs within the United States and Europe. Furthermore he developed the website www.bergbook.com himself and is now one of the biggest sellers of rare maps and prints online. In January 2013 Robert Berg took over the business and has since then even internationalized the business even more. We are members of the „International Map Collectors Society“ , the „Verband deutscher Antiquare“ and „ILAB“. The shop is located in Regensburg, a beautiful historic city in the middle of Bavaria, Antiquariat Reinhold Berg. From there we became a leading dealer of the best of antique maps, atlases and rare books. We have not only one the most extensive collection of antique maps and atlases, but also a great selection of fine modern prints and rare antique books. On our website we offer a regularly growing extensive selection of beautiful antique maps, prints and books. Over the past years we have sold more than 30 000 antique pieces to collectors worldwide. Our reputation around the world is to strictly deal with high quality and authentic antique maps. If you are looking for specific antique maps or atlases we will not only provide you with the right information, but also help you to find the perfect antique map. Whether you are a first time buyer in need of a special gift or an experienced collector you will definitely be right with us. With us you can enjoy buying antique maps online and offline: browse our great online gallery, give us a call or come and visit our shop if you are in Regensburg. We will be happy to let you be a part of our passion! WE ♥ MAPS ..because old maps are more than dusty paper.